Your weekly streaming pick comes to you courtesy HBO. 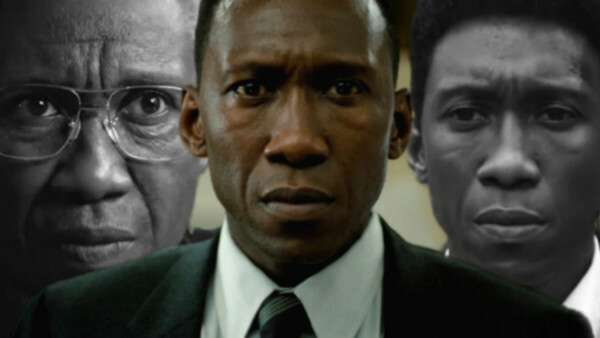 True Detective Season 3 brings the anthology series back to proper form. I usually don’t delve into HBO’s insane library because the service isn’t quite as common as Netflix, Hulu, or Amazon Prime. Given Game of Thrones highly anticipated final season fast approaching I assume a lot of people are re-upping their subscription or finding a way to get access to the app. If you are unaware, True Detective is an anthology series. That means every season is a standalone story with new characters, cases, creators, and style. Season 1 debuted in 2014. It was groundbreaking television. The deep story and rich characters were a definite home run. Despite the weight of the subject matter it was a series that was hard to step away from. Season 2 came a year later. Despite having some incredible talent in front of, and behind the camera it didn’t quite work. It was more than the sophomore season not meeting the impossibly high standard of the first season. It was more of a sophomore slump. Fan’s weren’t thrilled and they didn’t hide their thoughts on it. HBO heard, loud and clear. Four years have passed since the disappointing season. In that time the creative team behind Season 3 did their homework. They clearly dug deep into season one to see what resonated so strongly with audiences. 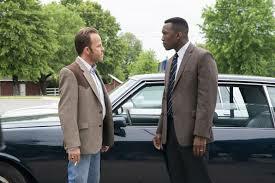 Picking a brand new case that feels like a real world american horror story and finding talent in Stephen Dorff and the astounding Mahershala Ali Season 3 came and left an impression. Two detectives catch a case involving two missing children. They begin working the case in 1980. The bizarre circumstances around the case follow the two men professionally, and personally, shaping their lives. Things come back around ten years later as the detectives reopen the case trying to figure out what went wrong the first time around. Almost three decades later a true crime series investigating cold cases has Detective Wayne Hays (Ali) try to dust off his memories in some grueling interviews. 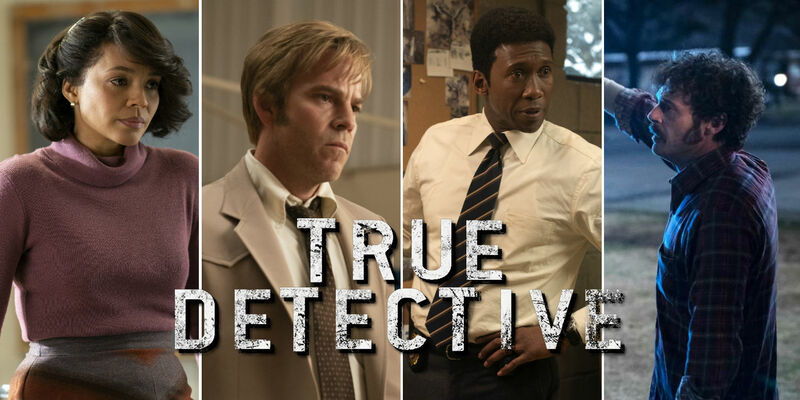 True Detective is a series that hits the ground running. The case is dropped in the audience’s collective lap like a bowling ball. It hits hard and it hits close to home. The first episode is a tight, jam packed, hour. In that hour it feels like the talented team of writers gave up information you wouldn’t expect until the midpoint, at the very least. The first episode is one of those perfect hours of programming that have you so involved in the story, so invested in the characters, and so mesmerized by the perfection in the making of it all that you lose yourself in the story. I felt like I was fifteen minutes in yet through three whole episodes by the time episode one ran the credits. It seems like there wasn’t as much noise around Season 3, compared to the first season. It’s possible audiences have moved on, or there was just so much going on around it but Season 3 is an absolute masterpiece. It rivals, if not surprasses, the first season. A feat that felt impossible watching the debut of the series. I don’t need to tell anyone reading this how good Mahershala Ali is. This is some of the actors best work to date. In a career full of highs it’ll be hard for Ali to top his turn as Detective Wayne Hays. Hays is a complicated man, dedicated to his work to a fault. He has something of a mean streak in him, likely left over from his service as a one man army in Vietnam. The three phases of Hays’s life Ali gets to portray are all award winning in their own right. To see all three come to life in a single episode is magic. Stephen Dorff is a very busy actor. The man has 90 credits on his resume. He never had any performances that really stood out, to me. This is one he can put up on his mantle and be proud of. Without being too well versed in Dorff’s work this may be the performance of his career. The subtlety he brings to Detective Roland West is perfect for the series. He sells you on this person being more than a character. I could write another two-thousand words about every last aspect of True Detective Season 3 and how amazing it is. In that time you could be on your coach watching it. Do that.